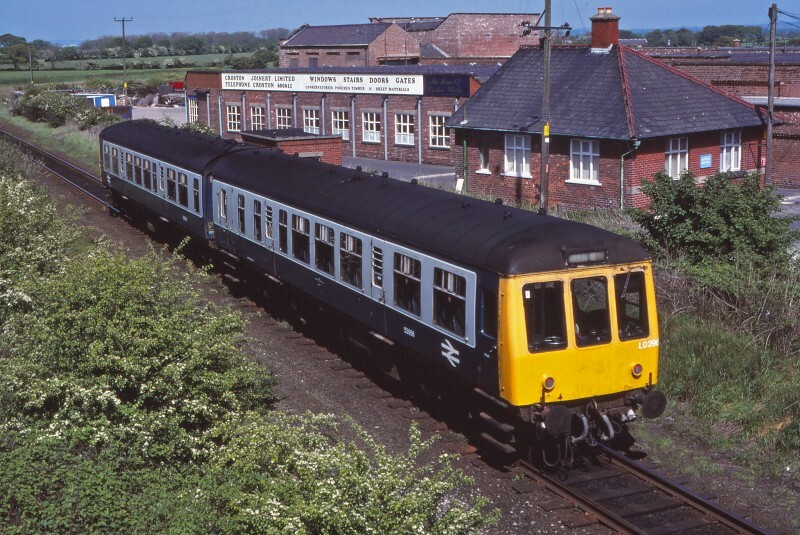 Martyn Hilbert's Railway Photography - Preston & District - Class 108, LO296 departs from Croston. Class 108, LO296 departs from Croston. With the former Jubilee Mill in the background, Class 108 set LO296 (53956 & 54238) departs from Croston whilst working the 15.08 Ormskirk to Preston on May 16th 1992. Once a familiar sight on these services, this was probably the last visit of a Derby built class 108 to the line. In the intervening years Jubilee Mill has been demolished and a housing development now covers the site.